Men who experience sexual harassment are far more likely than women to induce vomiting and take laxatives and diuretics - purging - in an attempt to control their weight, according to a new psychology paper. The survey was one of the first to examine the effects of sexual harassment on body image and eating behaviors in both women and men, and to learn that men are significantly more likely to engage in purging "compensatory" behaviors at high levels of sexual harassment. It's no surprise that women self-report more sexual harassment and greater overall weight and shape concerns and disordered eating behavior (such as binge eating) but the finding among men was a surprise. They surveyed 2,446 college students, including 731 men, about sexual harassment, body image and eating behaviors. 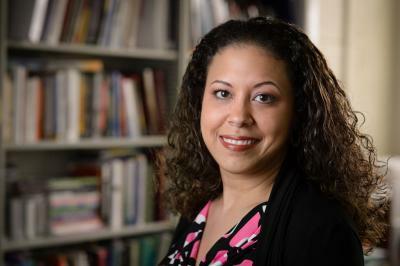 "Traditionally, there has been a misperception that men are not sexually harassed," said lead author NiCole Buchanan, associate professor of psychology at Michigan State University. "And while women do experience much higher rates of sexual harassment, when men experience these kinds of behaviors and find them distressing, then you see the same types of responses you see in women – and in the case of compensatory behaviors, even more so." Sexual harassment comes in many different forms and can lead to symptoms of anxiety and depression, concerns about body image and dysfunctional eating. Buchanan said there may be certain features of sexual harassment that are particularly powerful in triggering purging behaviors in males and that further research is needed to examine this possibility. Eating disorders are increasing among men in the United States, particularly younger men, yet the vast majority of prevention programs are designed for girls and women, the study noted. "Although boys and men have lower rates of weight/shape concerns and eating disturbances, these issues are still significant and warrant intervention," Buchanan said.